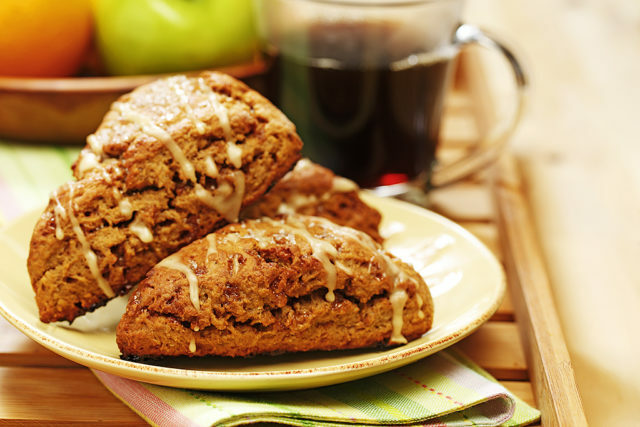 These scones are a lightened up version of the traditional variety with less calories, fat and sugar, with the sweetness coming from orange juice and currants. This homemade treat makes an excellent hostess gift around the holidays. Layer dry ingredients into a 1 qt. (1 L) jar. Cover with lid. Store at room temperature until ready to use or until ready to give as a gift. Transfer jar ingredients to a large bowl. Stir to combine ingredients. Whisk together liquid ingredients until combined. Add to dry ingredients. Carefully mix all ingredients together just until combined. Turn out dough onto a lightly floured work surface and knead 3 or 4 times to form a ball. Roll dough into a circle about ¾ inch (2 cm) thick. Cut into 12 wedges. Place on a parchment paper lined baking sheet. 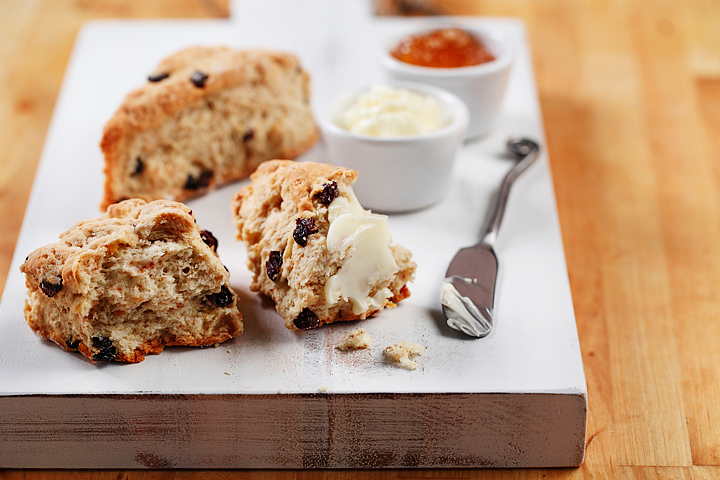 Bake scones at 375°F (190°C) for approximately 20 minutes or until scones are nicely browned and cooked throughout.